Lifeline's last big book sale of the year! 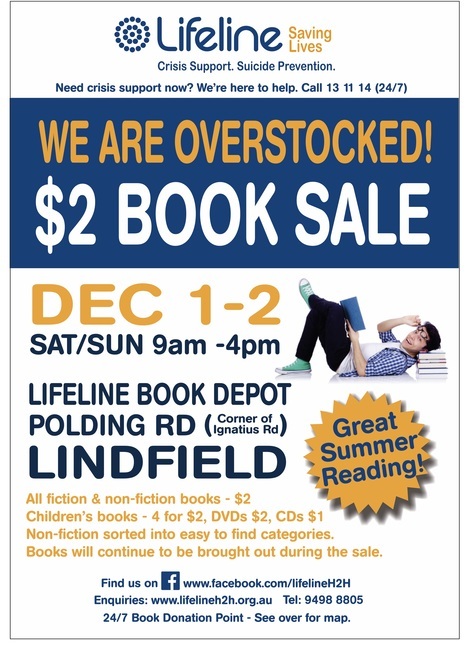 Lifeline's famous $2 Book Sale at Lindfield is on again, just in time for some early Christmas shopping and to stock up on great summer reading. For the price of just one small gold coin, you can buy a book while helping Lifeline to make a real difference to other people's lives. 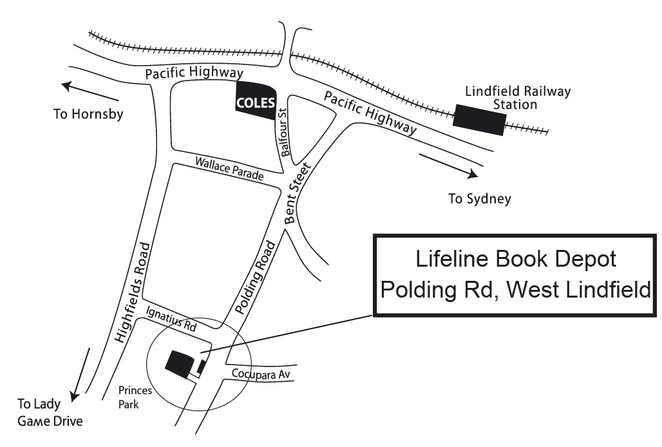 Organised and run by a team of dedicated volunteers every year, this much-anticipated annual fundraiser for Lifeline Harbour to Hawkesbury (H2H) draws huge numbers of book lovers and bargain hunters from far and wide. With so much excess stock to clear, even loyal supporters of the sale will be impressed by the volume and variety of more than 25,000 good-quality books that will be on offer this year — everything from commercial fiction and literary classics to non-fiction, hardcover and pristine paperback, children's books and young adult reading, collectables and box sets, as well as books on cookery, craft, history and politics—there are even DVDs, CDs and computer games. All of it has to sell for just $2 or less per item. So don't miss this fun, family-friendly event—where all proceeds will go towards Lifeline H2H's many community services, including Suicide Prevention and their 24/7 Telephone Crisis Line of 13 11 14. Cnr Polding and Ignatius Road, West Lindfield.